“Sometimes we are asked to carry trials that help lift others," Solomon said. "Sometimes I think, ‘Why on earth did I get called to serve a mission and feel prompted when I didn’t end up going? Why did that happen?’ I used to think that all the time." However, as she has had opportunities to share her experiences with various audiences, she has found that her story resonates, and it helps people with their own challenges and concerns. This is why Solomon has spent the past four years traveling around the world, sharing a message of joy and light. 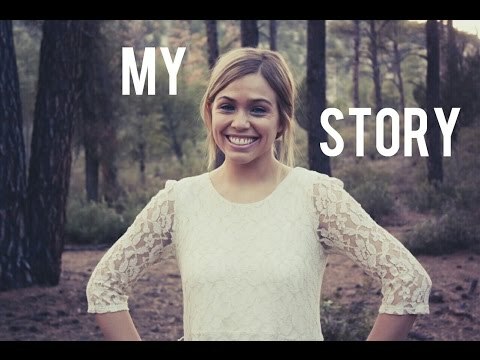 In November 2013, Solomon, then an unmarried 25-year-old, was featured in a Deseret News article after completing a trip across the country and asking 444 people one question: “What gets you out of bed each day?” She chose this question because she often struggled to get out of bed and found that pondering her blessings often provided the motivation she needed to begin her day. Nearly 6,000 miles away from Solomon’s home in Arizona, a man named Gabriele Funaro from Laveno Mombello, Italy, read her story. As a member of the LDS Church, Funaro shared Solomon’s faith, and he felt that the people of Italy could benefit from her message. Funaro extended an invitation to Solomon to repeat The 444 Project in Italy, with a promise that he would provide a phone, transportation and people to interview. Solomon was initially hesitant, but in the wake of the death of her cousin Season Joy Barnett, Solomon’s mother encouraged her to take the trip. Solomon and her friend Kelly Allen Roberts travelled to Italy in May 2014, relying on faith. Upon returning from her two-month stay in Italy, Solomon had new stories and experiences to share. She began to have more public speaking opportunities and found that they filled a void in her life. She also collaborated with Revive Service Tours to take The 444 Project to the Philippines in June 2014. While there, Solomon and 28 volunteers — including a camera crew — made repairs to a school that was damaged by a typhoon, built a new classroom and held education summits to encourage academic pursuits. Solomon said that while they had a goal to bring joy to the people in the Philippines, they found that they became the students as the people taught them about joy. As Solomon works to recognize joy and light, she turns to her husband, Brighton, a name his wife says fits him. The couple was set up on a blind date and began dating in November 2013. Solomon said their courtship revolved around The 444 Project because on the days she felt well enough to do anything, she needed to work on the project. On days when she didn’t feel well, which were more frequent, Solomon laid in her bed while Brighton sat on the floor and did his homework. Brighton traveled with Josie to the Philippines in June 2014 and, while there, he asked her to marry him. Still, Brighton only reaffirms his love and commitment. The two were married Aug. 29, 2014, in the Las Vegas Nevada Temple. They recently moved to Utah, once again “booking on faith.” The Solomons have already begun to find reasons they felt prompted to move to Utah. Josie gave the keynote address at the 2016 Utah AmeriCorps Conference earlier this month and will speak at an Especially For Youth seminar this summer. The couple is also planning a trip to Tanzania with Revive Service Tours in July. Solomon said that no matter where she goes, the darkness comes with her — but she has found that the darkness that comes from situations in life, rather than sin, refines and purifies. She has also found that others can see the light in her life even when she can’t, and she knows the source of that light. “Everybody has their darkness, but everybody has light," Solomon said, "and I’ve found that while our darkness varies from person to person, the light that heals and redeems is the same, and that’s the light that comes from the Atonement.